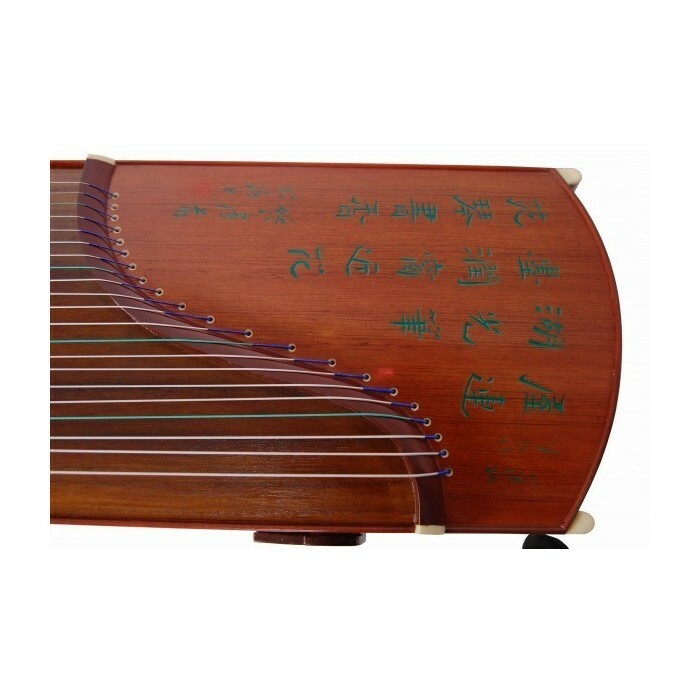 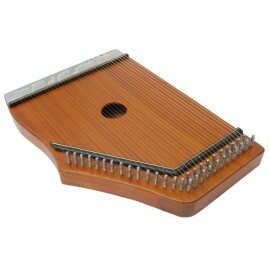 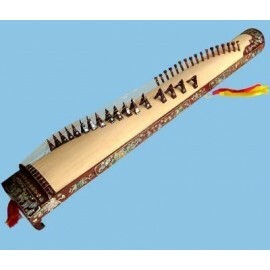 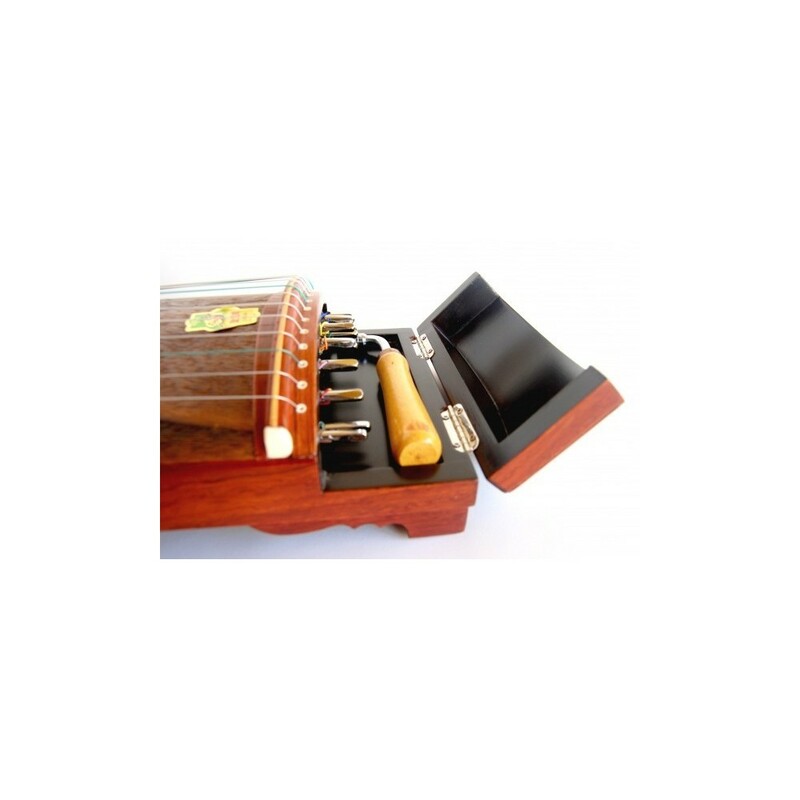 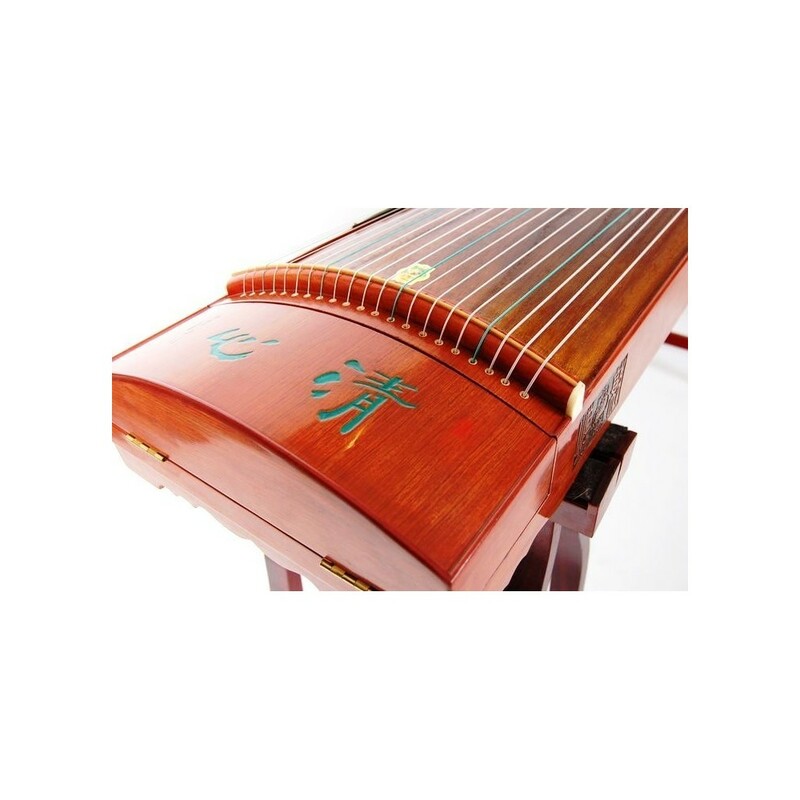 Chinese zither Guzheng has twenty one metal strings. 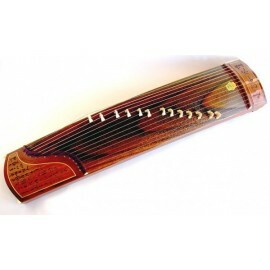 Its tuned in D.
Its made of wood from pawlonia trees. 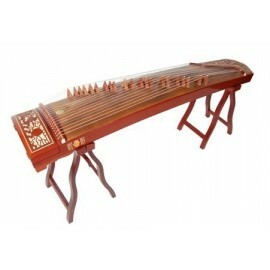 It includes DVD, tuner, accessories and gig bag. 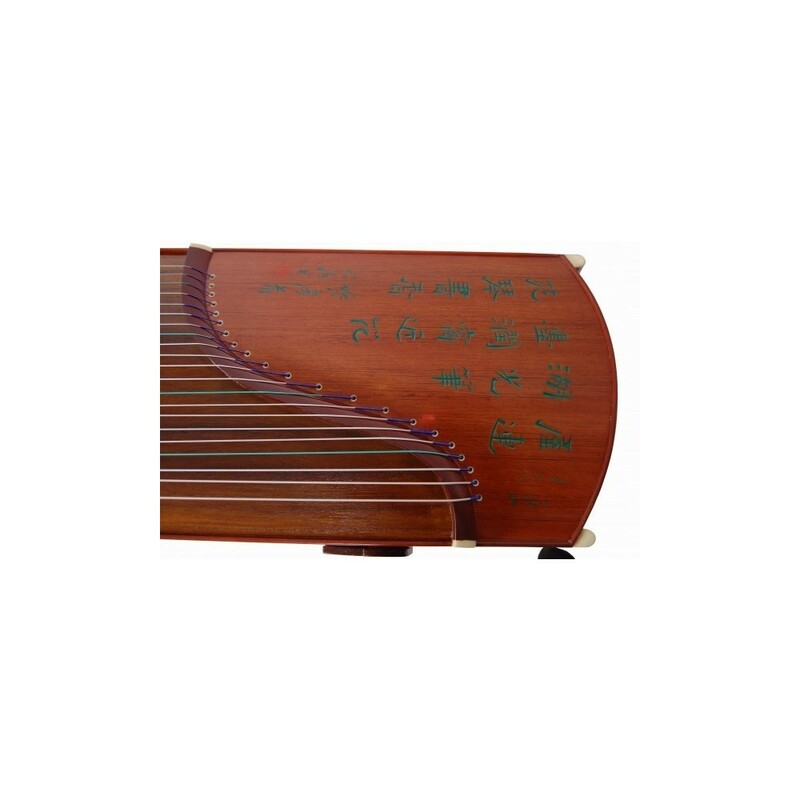 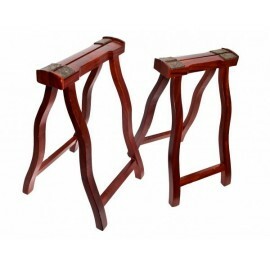 Size: 162cm x 35cm / 63.2" x 13.7"